Much like Robert De Niro says to his missus in Heat, "I am alone, but I am not lonely". Really sums up my current mood right now. I'm relying on some basic 'man alone' survival tactics to help me get through the festive season, notoriously the busiest time for bloggers. The trouble with being on the move all the time is that your diet normally turns to crap. It can be so annoying when you train as much as I do, but then get subjected to the lack of optionality in the discount chains. Ready meal pizza's, microwave burgers, the crisp and cereal aisle alone compounded my decision to book a health retreat to Bali in January (which I’ve now had to cancel, I’ll explain another time). However, I've put a mini listicle together for you, highlighting some tried and tested appliances that will help you stay on the right path. A good friend once recently told me he survived 3 years living above a shop with no basic amenities. No shower, no kitchen etc. He told me that he bought a steamer on the first day of moving in and lived off a diet of salmon and broccoli and was the healthiest period of his life. Salmon is an excellent source of high-quality protein, vitamins and minerals (including potassium, selenium and vitamin B12) but it is their content of omega-3 fatty acids that makes them most renowned. Otherwise known as brain food. What is remarkable is that you don't need to be a decent cook to eat healthy. Though there are some steam food cook books available for the sake of variety. The Magimax is a great reputable brand and served my friend well for his insulated years. No better way to start the day. Also one of the best ways to ensure that no food goes to waste. I'm not suggesting you pull a Schwarzenegger from End of Days and start puree-ing last night’s left over pizza, moreover the fruit and veg that is on the turn. Also how many times have you bought fruit and veg from the supermarket in a bid to kickstart a healthy diet, but when it comes to preparing and actually wanting to put the damn things in your mouth the will immediately deserts you. The Vonshaf is a great bargain blender that creates minimum amount of clean up. It's also a blender, not a juicer meaning you keep the pulp and fibre that contains a lot of nutrients and bypass the immediate sugar hit found in citrus fruits. Look Dynasties just wouldn't be the same without being curled up with a bowl of popcorn. A popcorn maker just gives it that special cinematic experience and a great gift for someone with kids. Really go all out with that cinema experience by having your young nephew sat behind you and kick your chair every five minutes, similarly you can tut loudly and obnoxiously each time your girlfriend gets her phone out. This is soup season gentlemen. Those salad days are done and done for another 6 months so why not invest in a Phillips Soup Maker. It basically serves as a blender with an inbuilt thermostat. The Z-shaped blade design together with the optimised heating profile allows you to create your favourite soups with the perfect texture in 18 minutes or less. The biggest ball-ache of having to grill food is cleaning up the debris after. Now I'm very emotionally attached to my BBQ outside on my patio, it's been a terrific servant over the years and somehow buttresses my cave man stature. However, it's been raining solid here in London since, forever basically so I've since had to move my culinary efforts indoors. There are many healthy grills on the market, this Cuisinart can also double up as a sandwich maker and is discounted right now on Amazon. Let's face it, January is the most miserable month in the calendar. It's cold, everyone is skint, and everyone is posting pics of Robert Downey Jr mid-eye roll with the caption, 'new year, new me'. Worst of all, people’s procrastination of doing the dry January (whilst admirable) withers after the first week when they realise that they don't have the intestinal fortitude to stay indoors for 30 days straight and not drink. So my question is, does drinking have to be dry? 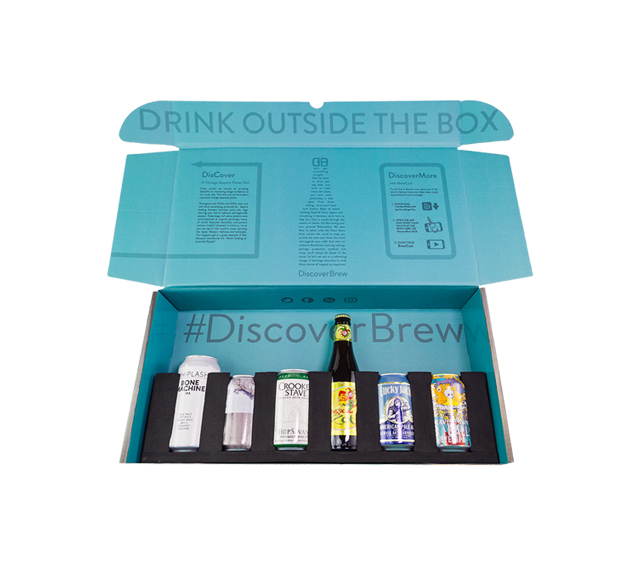 Since I've been working alongside DiscoverBrew, a monthly beer subscription service where each subscriber gets six beers delivered to their door complete with a personalised video and tasting notes, I've actually started drinking less! Yes everyone can still complain about being on their knees financially, which still makes this a great option as I can invite friends round for a cost-effective night in, drinking responsibly like the grown-ups we are. We all have to become grown-ups eventually and DiscoverBrew is a step towards adulthood, believe me. Also, by drinking quality beers moderately and enjoying the process, you circumvent those feelings of failure when it comes to skidding off the dry January slopes. You never told yourself you were going to stop drinking completely, so you’ve not failed at anything! It’s a positive mindset as well as a pastime. Each beer in the box is hand-picked from hundreds that are tasted by the DiscoverBrew team, and only great beers make it into each box. I love getting my tasting note tutorials and the personal messages from Conor, the ‘Brewmellier’ of DiscoverBrew that comes with every monthly Brewbox. It heightens my tasting experience by pairing each beer with something that will complement, whether that’s a snack or a meal or simply to be enjoyed by itself. Today I'm going to be waxing lyrical about ThreeSixty° Coffee a luxury, premium single origin coffee brand, where consumers are invited on an adventure of taste. How nice it is to find something honest. ThreeSixty° Coffee (the brand) has a distilled simplicity that foregoes any superfluous marketing huey and just focuses on delivering a product with character. This past week I've had the pleasure of sampling their coffee from Cuba, Mexico and Peru. The denouement has been one of enriched sophistication. Let's take a look at each ThreeSixty° Coffee taste profiles, all of which offer a unique taste and are made up of a single origin. This single origin coffee is one of only a few coffees produced by the small coffee growing region this season. The immediate freshness will invoke the palette and you'll soon be registering roasted nuts fused with the sweetness of cinder toffee and a caramelised brown sugar. A perfectly balanced acidity. It's a little known fact that one of the world’s largest coffee growing countries is Peru. The delicious notes of cocoa and hazelnut will take you on a journey, a perfect slice of escapism. It's full-bodied, it's full of character, it's a great reason to get out of bed in the morning. Dominated by smallholders, Mexico now offers a variety of delicious coffee profiles from sweet citrus to smooth chocolate flavours. The beans come from three farming communities to the west of Tepic and Nayaritt, a region famous for its variety of delicious coffee profiles. It's an odd juxtaposition for someone like me that has drunk coffee for most of his adult life, yet never had to experience distinguishing the composition. As much as it makes me sound like something of a neanderthal, I never knew you could enliven a coffee blend with citrus notes of mandarin balanced with smooth milk chocolate. Who knew? One of the more remarkable things about ThreeSixty° Coffee is how incredibly transparent they are as a company. Each pack is hand-packed and fully traceable, with precise on-pack map coordinates to help discover each coffee’s specific region of origins, which can be traced using Google Earth. For those that follow my Instagram stories you know I'm very attached to my Krups espresso machine. As well as your espresso machine, ThreeSixty° Coffee is compatible with every possible piece of coffee instrumentation, with easy to follow guides on how to brew your coffee using a cafetiere, a V60 pourover, an aeropress and a chemex. ThreeSixty° Coffee challenges the rationale that as a society we are cornered into settling for suboptimal coffee at home and only exclusively drink sophisticated blends in cafes, restaurants etc. Now we can make decent coffee at home and at work - plus saving money in the process! Knowing how to make a decent brew can be a tough university to go through. ThreeSixty° Coffee have made it their goal to simplify coffee brewing methods with easy 'how to' guides on their website. ThreeSixty° Coffee is available to buy from Waitrose and Ocado. One of the greatest things I look forward to around the festive period is proudly and immodestly showing off my mixology skills to friends and family. It coincides with my theory that every family should have someone that is capable of making their own cranberry sauce for the Christmas Dinner. I have elected myself as the man with the elixir, arriving at parties with a bottle Haig Club Clubman providing the ultimate stylish ingredient for the cocktail recipe. I did promise myself that this year I'd create a special menu, have it laminated and issue them out via an email circular. On reflection that would take a lot of work, be borderline narcissistic and remove the element of surprise. My favourite part of playing host or barman, is introducing people to Haig Club. It's an incredibly accessible expression for those that don't typically drink whisky. Conversely, and perhaps one could say surprisingly for a single grain, has been widely lauded by aficionados. 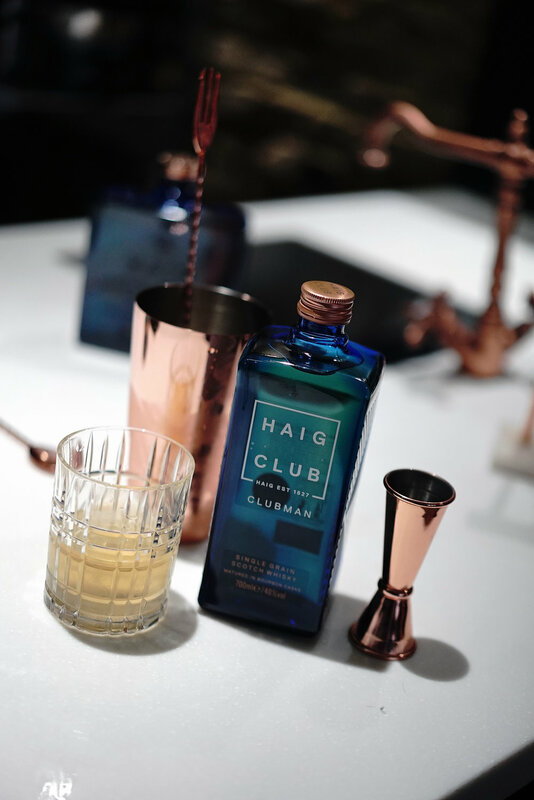 The Haig Club bottle is designed in such a way as to not disappear amongst the plethora of 'bring a bottle' gift. For that reason it works perfectly as a gift for that special stylish someone in your life. 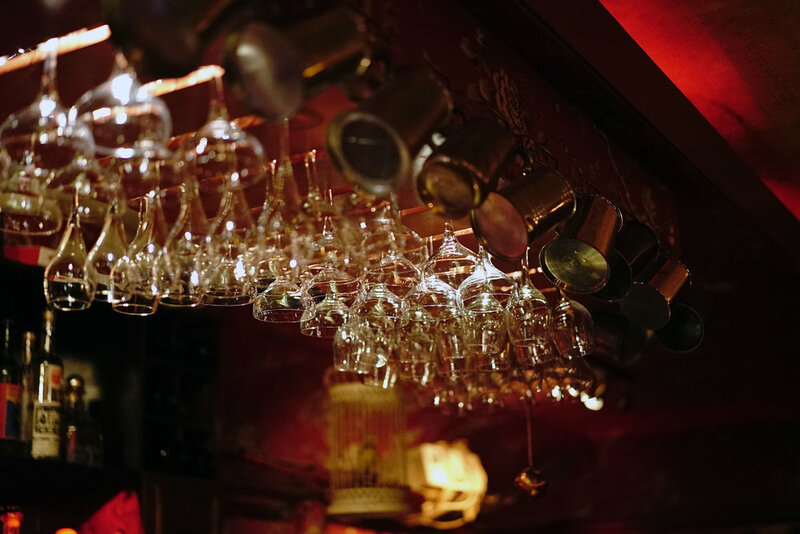 It's not just the job of a barman to serve drinks. It's to tell the story of the brand and why they coincide with your style and life choices. When preparing my party special the Principal Lowball, a light Clubman serve with coconut water and sherry, I'll be characterising the blend by eulogising it's perfect proportions. This cocktail has a wonderful myriad of tasting notes that will stimulate your palate. As an aside, I've been dabbling in a bit of self-development of late, preparing for my meditative retreat to Bali in January. For that reason I've been noticing the importance of things like balance, harmony and symmetry. These subliminal references are a perfect description of Haig Club and encapsulate my thoughts on this expression. As someone that likes to bring a stylish differential to any occasion, being able to express my individualism through the prism of Haig Club is an added bonus. Treat your friends, educate your patrons, surprise yourself. *This Sponsored post was created in collaboration with Haig Club. Today I'm going to highlight some of the best Subscription Services I've earmarked for Christmas gifts. A subscription service is truly the gift that keeps on giving and every month someone gets reminded what a good egg you truly are. You might have seen me Vlog about DiscoverBrew where I talk about the benefits of being a BrewBox subscriber. Each month 6 of the best beers arrive on my doorstep, complete with personalised vids that will describe each beer and what food you can pair it with. The merits of the brands rest on its fantastic selection of beers. Just when you thought you knew all there was to know about craft beer you get presented with a new one and you fall in love all over again. My favourite scene from Pulp Fiction is when Quentin Tarantino gives a thrift monologue schooling Samuel L. Jackson, John Travolta and indeed the entire audience on why quality coffee is so important. (Unfortunately the dialogue is far too colourful to transcribe here, but I'm sure you get my point). If you have someone in your life that is serious about Coffee then introduce them to Pact Coffee. Their coffee is bought directly from the best farmers across the world then roasted in small batches at Pact HQ in Bermondsey, to ensure the very optimum quality. A lot of us feel begrudged leaving the house at all these days. Especially in this inclement weather and for something so perfunctory as razor blades. Why not save someone else the hassle as well by treating them to a razor blade subscription service by the Bearded Colonel. Made in Germany, the high water mark for quality razors. Delivered direct to your door and small enough to fit through the letterbox so you needed hang around waiting on the postman. 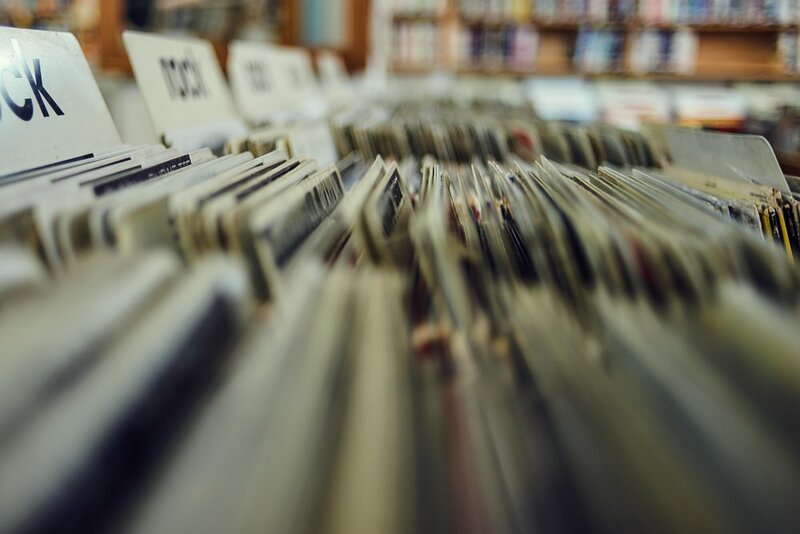 A promise I've made to myself in the new year is that I'm going to rekindle my passion for vinyl. Really Carl? You're such the go-getter trend setter. I know, it's about 20 years too late, but I'm a sucker for nostalgia and I've already got the beard so I feel like I'm halfway there. If you know someone that is an avid music goer or has seen High Fidelity and on a regular basis why not sign them up to Flying Vinyl. They're a company that sends its members a monthly box filled with the best new alternative music printed onto beautiful 7” vinyl records. Ok well you know I'm no shrinking violet when it comes to self promotion. I like to think I tread that fine line of eagerness and persistence. 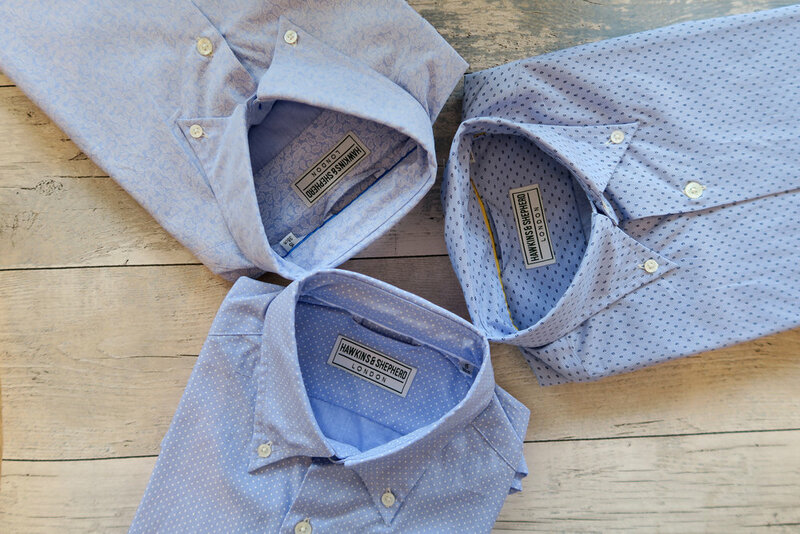 My Hawkins & Shepherd shirt subscription service is the ultimate gift for that man in your life that is career driven, professional and scrupulous about his personal style. 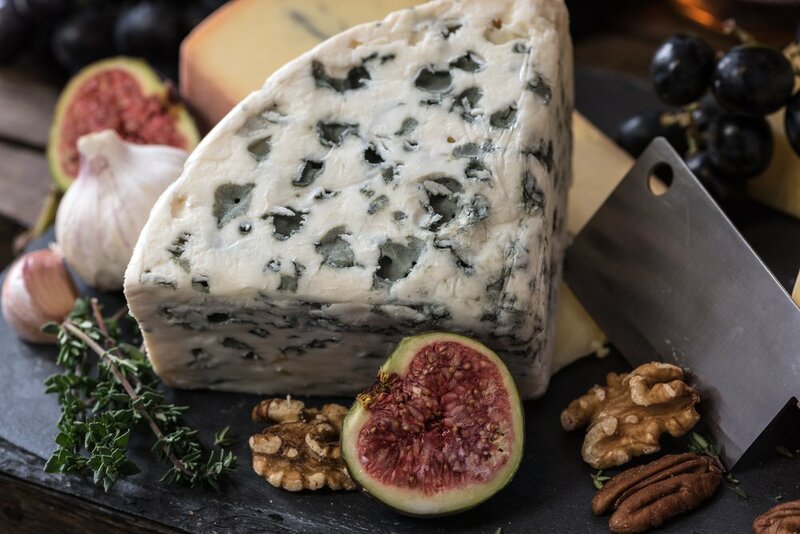 Finally, avoid the hustle and bustle of the farmers markets by signing up to the Neals Yard Dairy cheese subscription service. Treat your palette to a wonderful myriad of different British farmhouse cheeses. If anyone is looking to get me a gift for Christmas I'll be pleased as punch to receive this. Ideal for people who enjoy entertaining or those who like having a few hearty pieces of cheese to hand for both cheeseboards and cooking. November 2018 Don Papa Rum, the premium small batch rum from Negros (Sugarlandia) in the Philippines, has launched its newest expression, the Sherry Casks Finish – a limited edition premium rum, available exclusively at Harvey Nichols, in-store and online. I was asked earlier in the year, to quote the Bear Necessities, to forget about my worries and my strife, and embark on a pilgrimage across the Philippines, the birth place of Papa Rum and home to the 3rd largest rum market worldwide. It's amazing what can be achieved with a little bit of smart engineering. Don Papa Sherry Casks Finish is a column distilled molasses based rum, first aged for four years in American Oak ex Bourbon casks followed by 18 months in four different types of Sherry Casks: Fino, Pedro Ximenez, Cream, and Palo Cortado. The rums in these four casks are then carefully blended by Don Papa’s Master Blender to produce a unique limited edition rum, unfiltered and bottled at 45% ABV to further enhance its distinctive taste. And I thought Christmas only came once a year? Yes that gag has been lifted from The World is not Enough, but it somehow encapsulates perfectly my feelings around this announcement. 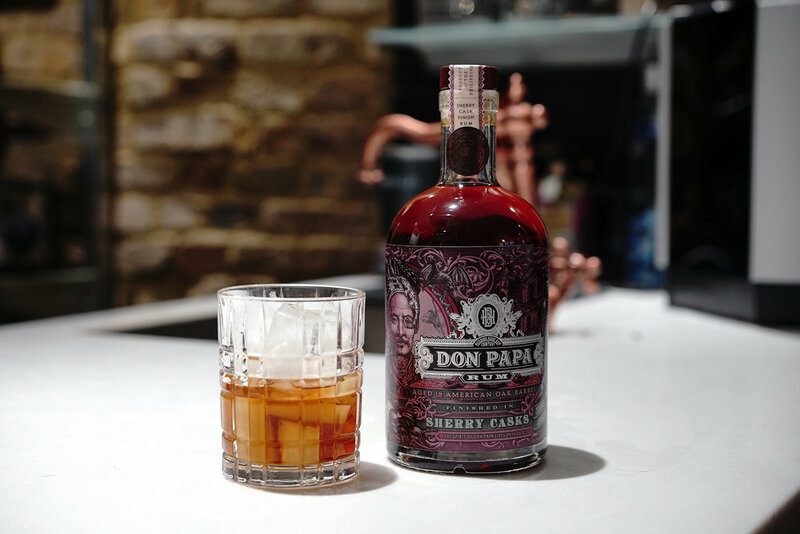 Don Papa are firmly exploiting their huge reservoir of talent, from tastemakers, distillers to the farmers that garner the crop and make it all possible. What's so special about these Sherry Casks Finish? This release from Don Papa embodies all the notes and flavours of a perfectly rounded festive palette; moist Christmas cake, prunes soaked in Madeira, mince pies and Sherry, Port and figs, cherry liqueur dark chocolates, plums stewed with star anise, roasted almond marzipan, pomander, unctuous caramel and spices nuts. Everybody knows someone that is an ardent fan of Rum. This is a perfect gift for that rum-lover in your life or making yourself the kingpin of the party by turning up with a bottle. The Sherry Casks Finish is presented in a unique baroque-inspired design reflecting some aspects of the island’s Spanish heritage whilst keeping the irreverence of Papa Isio’s story, originally a foreman in a sugar plantation turned revolutionary hero who battled for his country’s independence. Don Papa Sherry Casks Finish (70cl) is available exclusively at Harvey Nichols, priced £69.50. Today I want to talk to you about a new monthly beer subscription service that has hit my radar called DiscoverBrew. This has landed just at the right time for when time is stretched and gift buying for those awkward non-hobbyists suddenly makes you wonder whether you know people at all. Each month 6 of the best beers in the world are dispatched to BrewBox subscribers, arriving in a beautiful box that has the essence of something that was lovingly prepared. Aside from the packaging I'd like to highlight some of the admiral qualities of the DiscoverBrew subscription. It really is the gift that keeps on giving for each month that you subscribe and there’s no minimum term making it even more flexible. Despite having endless commercial optionality, we all have that friend or relative that we struggle to buy for. This gift is rather exceptional in a way because the recipient gets monthly reminders of what a good altruistic soul you are. Each beer in the box is hand-picked from hundreds that are tasted by the DiscoverBrew team, and only great beers make it into each box. So there are no dregs (pardon the pun) or runts of the litter when it comes to these crafted beers. 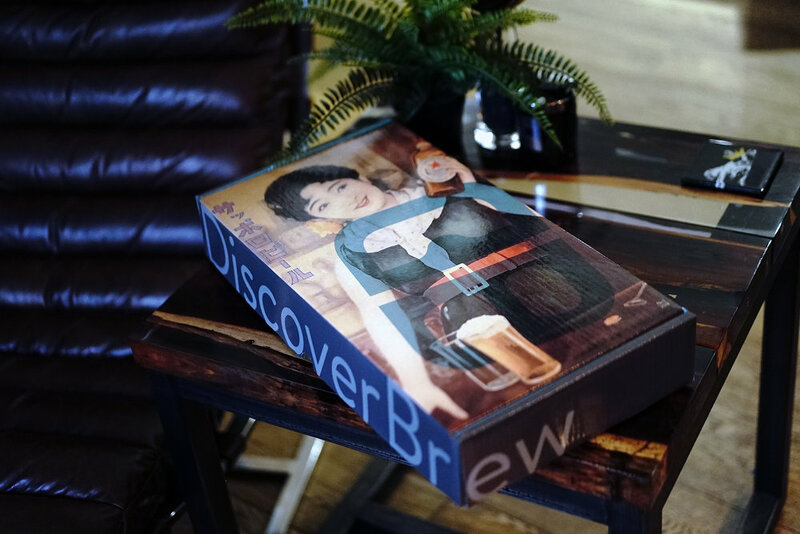 It also differentiates DiscoverBrew from other beer subscription services where the beer can seem to be whatever was in stock or what they could get cheap that month. Every beer that arrives on the doorstep comes with a personal message from Conor, the ‘Brewmellier’ of DiscoverBrew. I like that name Brewmellier, sounds like one of the Musketeers. Under the tutelage of Conor, I can now understand what tasting notes my palette is trying to discern. I can heighten my tasting experience by pairing each beer with a recommended culinary dish. I can also then extend my new-found knowledge onto other like-minded craft beer lovers so we can all reach the same equilibrium of beer enlightenment. There is no minimum subscription length and the subscription renews automatically each month but can be cancelled at any time. *This sponsored post was created in collaboration with DiscoverBrew. For those asking if my recent jaunt to Reims was as good as it looking in my Instagram pictures, it was. You probably guessed that I was there on behalf of Laurent-Perrier to celebrate 50 years of the esteemed Cuvée Rosé. A champagne with an illustrious history. Perfected in each stage of its making, remarked for its consistency and its high quality. The city Reims can be found in north-eastern France's Grand Est region. If you're heading there by train from Paris take the train from Gare de l'Est. 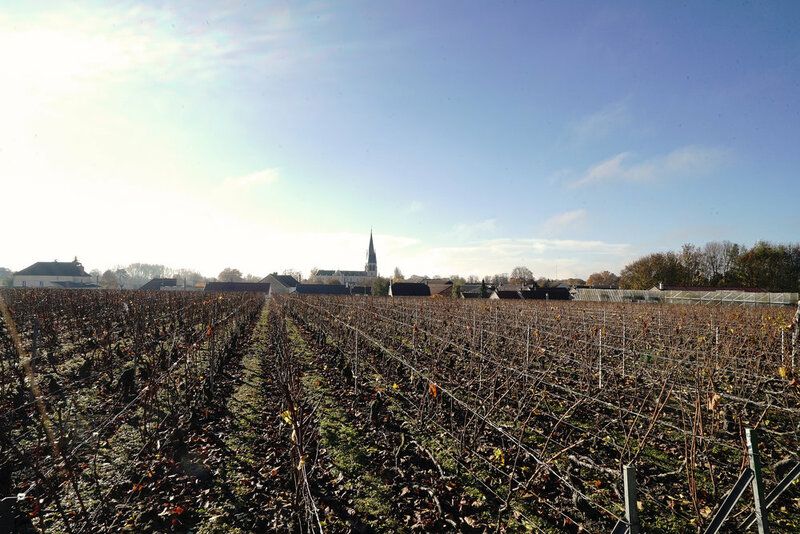 This vast campestral Champagne wine-growing region is truly the most heralded. 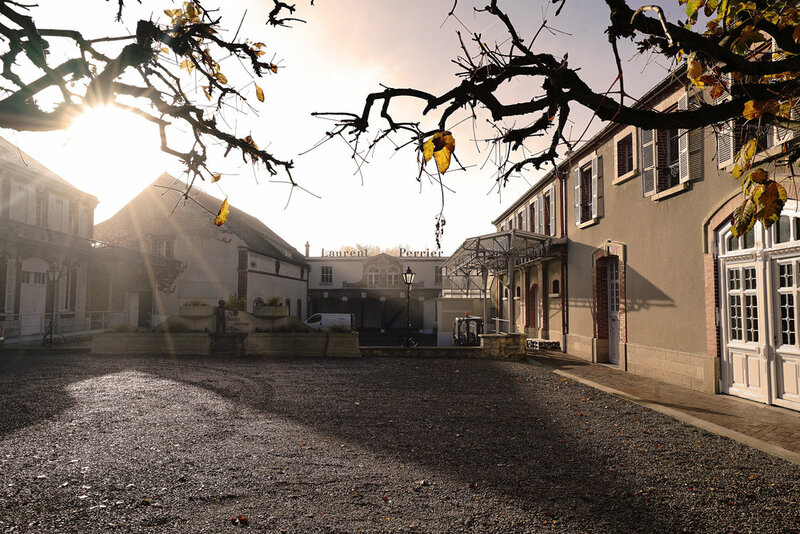 Laurent-Perrier holds its Headquarters and Vineyards there. 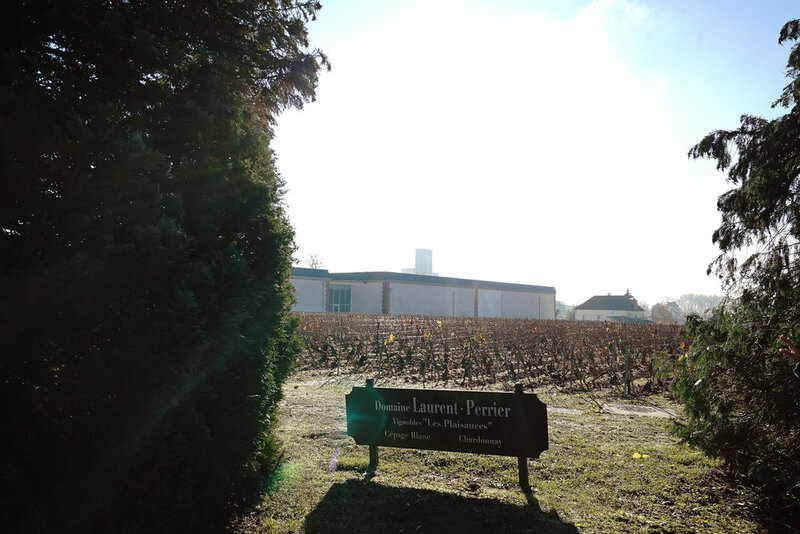 For the most discernible of wanderlust Vloggers the vineyards and wine cellars of Laurent-Perrier are incontestable. We (motley crew of well-heeled bloggers) sauntered up and down the vineyards doing impromptu boy v girl catwalks, before being escorted off down a long cobbled tunnel on a tour of the cellars. Allow me to give you some of the findings of my tastings. It's what we all came to see. The headline act. You don't have to take my word for it that the Laurent-Perrier Cuvée Rosé is truly a Champagne made with elegant design. It's been lauded by many wine connoisseurs and sommeliers across the globe as the apex of Rose Champagne. Made from 100% grape, the Laurent-Perrier Cuvée Rosé delivers a cocktail of red ripe fruit aromas, high intensity with an astounding aromatic depth. It's an extremely supple and well-rounded wine. Your palette will be awash with black cherries and red currants. The food on the tour was sublime. The Laurent-Perrier Cuvée Rosé is best teamed with marinated raw fish, grilled prawns, or Parma ham. Sounds like a planet eating Transformer. Seriously, it's known collectively in the upper echelons of champagne aficionados as 'the great wine without sugar'. It too has an esteemed history, launched in 1981. The Ultra Brut is a Chardonnay and Pinot Noir blend which is delicate, with a surprising length. You'll get an instant plume of citrus and white fruit notes, which quickly diffused before the honeysuckle arrives and steals the show. If you're serving this at home, why not prepare a seafood dish. The citrus notes are enlivened white fish ceviche and feel free to flirt with other sushi dishes, you can't really go wrong. Sounds like something Elsa shouldn’t have crossed in Indiana Jones and the Last Crusade. The Grand Siecle is created from 3 exceptional years, blended for a following 8 years before it can be enjoyed. An esoteric, almost other-worldly unique expression borne from a Chardonnay and Pinot Noir blend. This champagne is ameliorated by the clever injection of grilled almonds, a subtle layer of honey, a dalliance of fresh pastry which combined, provide a perfect balance between strength and delicacy. You really can't put this with your bangers and mash. A Champagne that boasts this level of personality, has to be served with refined dishes such as surf and turf. Of the posh kind. That's it from me on this one. Happy birthday Laurent-Perrier Cuvée Rosé, hope to see you around for my 50th. Today I'd like to talk to you about Books and Beer. Sounds a great cop-buddy duo from the 70's right? Books is a learned detective with 10 years on the force. He has a resplendent moustache and immaculately dressed in 3-piece city tweed suits. Beer can do shoulder rolls across the hood of an SUV and doesn't wait for back up. I'll be the first to admit that in the advent of Netflix, box-sets etc, there's been a huge disparity between the books I currently own and the books I've read. Meaning I have every intention of reading books when I buy them, yet find the months tick by and they've sat on the shelf, unmolested by eyes and hands. Well today's the day I end this procrastination. Especially with the launch of Books + Beer, a brand new subscription box inviting members to relax and take time to broaden their minds with fascinating reads and a couple of the finest craft beers. Reading has always been a stabilising influence for me. However, I spend so much time reading and researching articles, that I've become like the chef in the restaurant that orders a take-away when he gets home because he can't stand the sight of his own kitchen. Books + Beer aims to provide a monthly prompt to slow down, with all you need for a relaxed night in, in a box – the perfect chilled-out moment to enjoy the simple pleasure of reading. Members select their preferred genre - (I've opted for business and self-development) and receive a recently-published paperback, along with two craft beers. Doesn't that sound like a better night in that thumbing through endless reams of odious and self-congratulatory social posts. What nourishment are you really going to get from seeing someone’s birds eye view of a bowl of pasta? What about the craft beer Carl, are those any good? Each box features two interesting cans or bottles, from pioneering, up-and-coming breweries. They choose brews to suit most palates – and also include tasting notes and recipe suggestions plus a curated soundtrack, so you’ve got a chilled night in, in a box! Need one more reason to sign up? Books and Beers have also partnered with CALM, with a 50p donation from every single box benefiting the male mental health charity and its vital work. Suicide remains the biggest killer of men under 45 in the UK, what a horrible fact! This is a worthy cause and a great subscription service. Books + Beer costs £10 per month, plus P&P, with discounts of 5% and 10% on six and twelve month subscriptions - and including a donation to CALM. What an incredible place Milan is. It has a unique energy, steeped in history, the architecture is beguiling and importantly, the beer is sensational. Last week I was introduced to the wonderment that is Menabrea beer, with a guided tour of Italy’s iconic Menabrea Brewery with Menabrea’s master brewer and 5th generation of the Thedy brewing family, Franco Thedy, as my personal guide. In 1846, Giuseppe Menabrea travelled to the town of Biella in the foothills of the Italian Alps. There he discovered an underground cave system, ideal for the traditional process of 'lagering'. The combined elements of pure water and cold fresh air of the region made conditions conducive to build a brewery. Fresh off the plane, a lunchtime arrival in Milan and I was quickly chaperoned through the provenance of authentic Italy, stepping off the beaten track to explore the historic town of Biella. 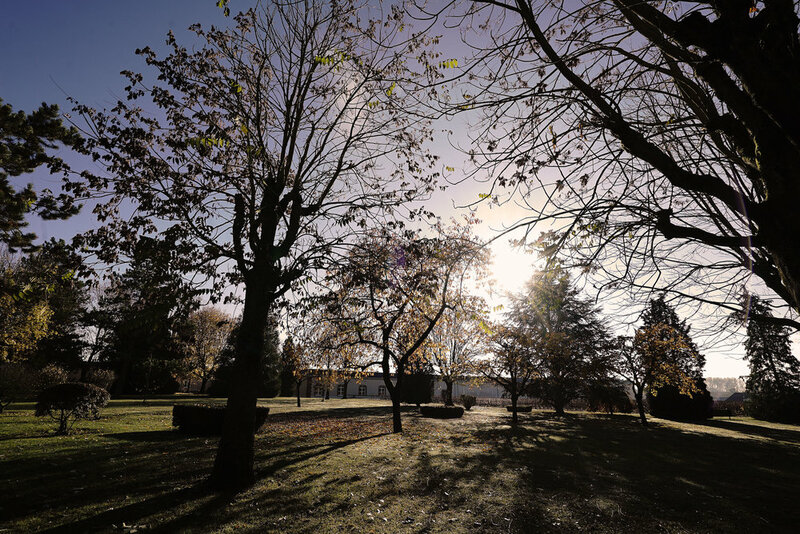 There, residing in the foothills of the Alps – the birthplace of Italy’s premium Birra, the Menabrea brewery. When you visit Biella, you'll still find Menabrea brewing their award-winning beer on the same site, made in the same way, by the same family, with the same ingredients, passion and care. Biella is a northern Italian town situated midway between the two historic cities of Milan and Turin; it’s nestled in the Bo mountain range in the foothills of the Alps – an area rich in springs and lakes. The brewery has that inimitable Italian beauty, an eclectic blend of historic brickwork, vaulted ceilings, now modernised with sophisticated production lines carefully manicured by the dedicated staff that oversee operations. Both varieties of Menabrea (Blonde and amber) are matured gently in the perfect temperature of the brewery’s cave cellars for a taste of superior clarity, made with alpine water, and distributed around the world. The blonde (Bionda) is my go-to beer, a sumptuous blend of citrus, bitter tones and floral, fruity undertones giving a consistent and refined flavour. It has a complex malty, hoppy taste with exceptional head retention due to the quality of the ingredients and maturation process. The Amber beer (Ambratta) is served at a A 5.0% ABV amber beer, full bodied and well rounded, with a moderately bitter flavour. Amber in colour with bronze undertones, this lager is another example of the brewery's exceptional capabilities. Whilst in the UK we serve scampi fries and pepperoni's to caveat the blandness of our beers, in Italy there is no need for such apology. In classic establishments, serving a Menebrea is usually accompanied with an aperitivo - traditionally a bowl of olives or nuts as something to whet the appetite so you can sit back and savour la birra perfetta. We also had a chance to attach some ‘Sbirro’ to the tasting, a Menabrea-infused cheese fresh from the cheese factory situated next door. Milan is the metropolis of northern Italy, the global capital of fashion and design, and a hub for first class arts, culture and hospitality in Europe. Biella is a nippy one hour drive from Milan and well worth the detour should you be looking to escape the city for a day or so. You can enjoy lunch al fresco at Menabrea Brewery Restaurant before taking a tour of the brewery and cheese factory. Milan of course is dripping with fantastic bars and restaurants that I was lucky enough to frequent during my brief stay. The famous Duomo di Milano, Galleria et Emmanuelle (don't forget to twist your heel in the mosaic Bulls' testes 3 times for good luck) not to mention the Italian nightlife culture along the famous Ripa di Porta canal. Lastly, I know I get a lot of comments from people saying how they're super jealous of me travelling here there and everywhere. Well soon you'll also be able to enjoy a pint in northern Italy’s beautiful town of Biella, exploring Menabrea’s historic brewery. That's right I'm talking about my new teleport machine that I've toiling away with for the past couple of months. You've all seen The Fly? Imagine that, without the wires. And the carnage. Of course I jest, but a visit to the Menabrea brewery is made possible through virtual reality technology. Menabrea will be touring restaurants and premium bars across the UK with the VR experience - offering a 360degree tour of Italy’s oldest brewery. 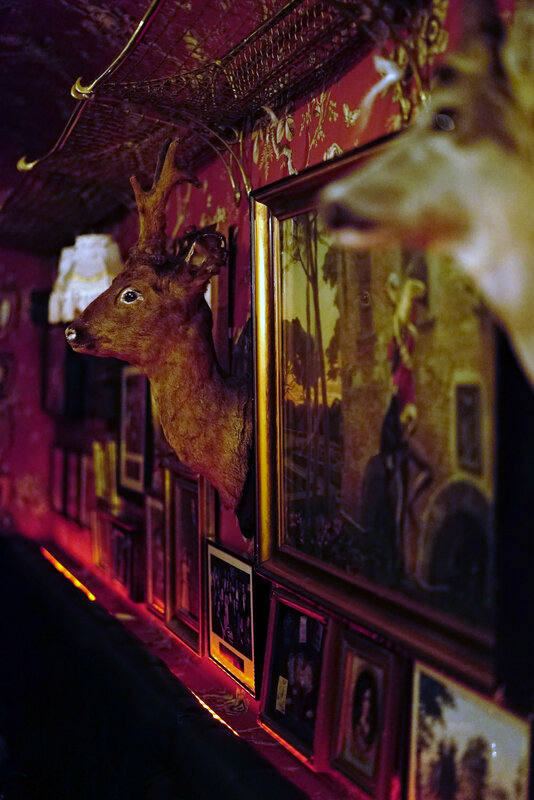 The VR tour can be experienced later this year in selected bars in London, Manchester, Glasgow and Edinburgh. More details will be available at Menabrea UK on Facebook. Has coffee become the nation’s scourge? 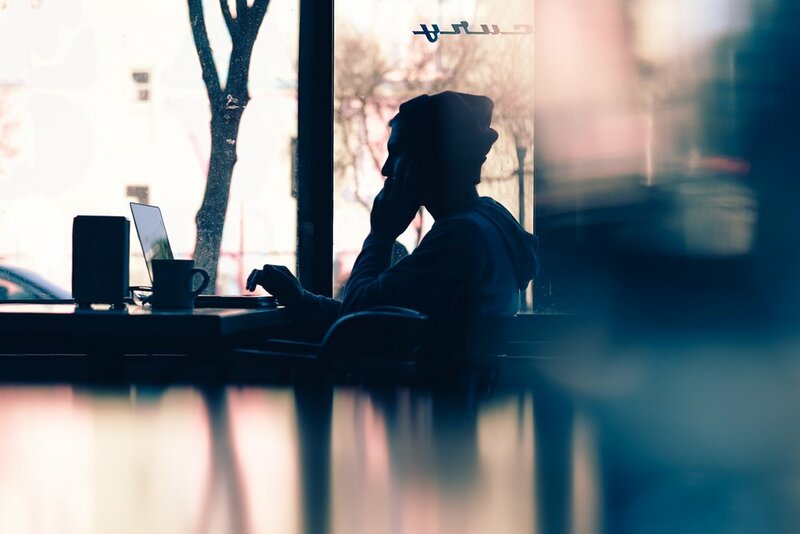 My beloved pubs are taking a battering in light of societies palpable shift from Carlsberg to Costa (other watering holes are available) and at the current rate of growth, researchers expect coffee shops to outnumber pubs by 2030. Charlie and I have too much of a steak dependency to embrace 'No Meat Monday' but I can get behind the new Water Wednesday initiative set by Aqua Optima. It's aimed towards encouraging more people across the country to give up their caffeine fuelled beverages and calorific drinks in exchange for water every Wednesday. Coffee is like any form of ritualism. You must first recognise your dependency, and accept the substitutes will be more beneficial. Replacing water with these drinks borne out of a fraught medley of societal dictum and egregious commercialism, will be no mean feat. Going against the grain; breaking patterns, I know, it's time to start moving to a strange new rhythm. Breakfast: Coffee? Of course. How many of us hit the kettle before we pull our eyes into focus? Drinking water stimulates the metabolism which is far more productive for your body. The six to eight hours of recommended nightly sleep is a long period to go without any water consumption. "Drinking a glass or two of water right when you wake up, however, is a good way to quickly rehydrate your body," says Rania Batayneh, MPH, a nutritionist and the author of "The One One One Diet," about the potential benefits. "Most people have their coffee first thing in the morning," she says. "Although it is a good source of antioxidants, it is also dehydrating. You can offset this with water." Lunch: Oh coffee. Let's just meet for coffee. Of course you drink soya milk which is an extra 50p in every damn coffee house. Of course you want to try a hazelnut cappuccino because it's the most expensive damn thing on the menu. Let's just reign in it shall we with this lunacy. Let's also stop turning everything into a damn hashtag, no one is interested in your flat lay laptop and coffee Instagram pictures. Knock that off millennials, please. I switched my flat white to a cup of hot water with lemon, and when my lunch date arrived I ordered a bottle of large Evian for the both of us. I offered her a hot water with lemon and of course she ordered a macchiato. What can you do, I tried. Afternoons: I normally take a bottle of water to my KOBOX boxing workout, but sometimes slip into vending machine mode. They say you shouldn't shop in a supermarket when you're hungry, same goes. Don't hit the vending machine and think that sugars going to be the antidote for your dehydration. I know a blogger that has given up alcohol that talks about hidden triggers. What lies down the track that could cause imminent derailment. The vending machine is one, the McDonalds on the way home is another, and the cinema! Don't get me started. Well actually, let me finish with that. Evenings: I've been feeling good all day. I haven't lapsed into a coma or felt like my eyelids are tied to 10k dumbbells. In the evening I took a friend to the cinema, and I figured out why I love the cinema. It's just a glorified Willy Wonka Factory for adults. There is a 100g of Sugar in a large 32oz post mix Pepsi. It's lunacy. Of course every assistant encourages the bumper bundle large drink and popcorn deal, that should come with a list of all the local dentists you'll need to fix the holes in your teeth once the movies over. I ordered a bottle of water and snuck in some apples slices, of course my friend had the sugary treats and I just cried all the way through the movie. Maybe I should move movie night to the Weekends. It's a great idea, 'Water Wednesday'. Shame it's only once a week, but it’s a start. We all love wine right? We all know that Bordeaux is a Claret thanks to Faulty Towers, and that connoisseurs feel indifferent towards Merlot thanks to the movie Sideways. But how easy is it to search beyond the vines and really discover what is going on in the glass? Turns out pretty easy, if you're keen to learn and have someone walk you through the differences. In this article I'm going to recommend to you 5 of the best wines that will be a perfect fit for your cellar this summer. I was recently invited to a wine tasting hosted by WSET, (the Wine & Spirit Education Trust) who are the largest global provider of wine and spirits qualifications. They offer beginner to expert courses in wine, spirits and sake through Approved Programme Providers across the world for enthusiasts and professionals. Their flagship, WSET School London, is on Bermondsey Street, which is just a short walk from London Bridge. They offer a full suite of courses, from one-day Level 1 Awards in Wine, Spirits or Sake to the expert Level 4 Diploma, and also host regular tasting events and introductory sessions for people looking to learn a little more about wine but aren’t quite ready to commit to a course. That's where I come in! The night was excellently curated by a trained sommelier and wine maker and he walked us through 8 varying bottles. Great Carl, so you drank a whole lot of free wine, but what wines should I be stocking up on this summer? No problem, I've got you covered. As promised here are the best wines I personally recommend for your summer parties and why! This is not only an amazing wine, but a great conversation stimulator. You can talk about the light, fresh, simple nature of the flavours. You can highlight the yeast-y after taste as the yeast is applied to the fermentation process to eat the sugar. As this happens, it bubbles and that C02 doesn't escape, hence the reason we have carbonated wine. See that's something I didn't know. TOP TIP! You can mention how it tastes of pear drops and your guests can nostalgically reminisce how awesome Pear Drops were back in the day. When someone asks if you can still buy Pear Drops quickly whip out a bag of Pear Drops that you bought from Marks & Spencer’s earlier. You sly boy scout charmer you. I'm going to mirthlessly tease you with this one because it's not actually available in the UK. Not for retail anyway. BUT if you attend a WSET class you can sample the joys of this formidable wine as they have the 100% UK allocation of it. It comes from the most southern wine region in the world, and is extremely rare. You'll pick up odd notes of petrol and rubber underpinning a vibrant rush of floral notes. Very much like smelling a bouquet. There's also some heightened scents of grapefruit and peaches mixed in. TOP TIP! Just because it's lower in alcohol 9% don't think it's any less calorific. Apparently what it lacks in alcohol it makes up for in sugar. So don't think of this as diet wine. It might sound like bunkum, but this is the only wine from the menu (and possibly from a lot of other wines also) that smells of grapes. It contains other floral characters too and is less acidic than say a Ca' Nova 2016. TOP TIP! You can pair this nicely with goat’s cheese, asparagus and any first of the year salads. This wine considered by many is considered the nectar of the gods. Quite literally! During the early years the winemakers believed they thought that God had myopically blessed this vineyard because the wine tasted so good. Truth is the conditions are sublime for this vineyard. It sits on a slope on a hill facing the sun, just conducive for winemaking. 2015 was an especially exceptional year weather wise. You put all the elements together; great year, great location, great vintage, you have a colossal wine on your hands. TOP TIP! When asked what kind of flavours you're getting let everyone do the red berry rounds. Red cherry, raspberry obviously, but when it come to your turn say "I'm getting more 'forest floor'. There's something leafy, leafier than fruity". What will you get from this? Naturally the warmth from the alcohol. The Valtellina comes from the same grape as the Barolo grape which is one of the heavyweight grapes in the wine world. It has a very full body (which always makes me think of John Cleese picking up the wine bottle and jiggling before agreeing with the supposed Hotel Inspector) it's awesomely fragrant as you'd expect from a wine nurtured close to the Swiss border. It's not as viscose or gloopy as some red wines, and as a result, you might not be a fan of this wine if you're die hard Barolo fan. TOP TIP! This wine was perfectly engineered to be paired with cheese. A nice Wensleydale will soften the edges. That's it! Do let me know if you're in agreement with my choices, or if you've gone on and done more classes with WSET. You can achieve a diploma in this kind of stuff you know! Now why wasn't that on the curriculum at school? It's festival season. Time to all sing about how great it would be to rid our world of plastic cups, how Trump is going to kill us all, how capitalism has capitulated under the weight of its own failure, then do nothing about it. As an aside the beer festivals are the ones that can be the most fun. Less mosh pits, less queues, more optionality than over-priced watered down fosters. The one beer festival I have inked into the calendar will be The Great British Beer Festival at Olympia, 7-11th August. Of course if anyone out there is looking to put a wolf pack together for the Oktober Fest later this year then drop me a line. Wait Carl, what about a craft beer I can order for Father's Day? Well talking of wolf packs, there is a craft beer that will sort your Dad out a treat. Introducing, Beerwulf.com (Also the support of this article). 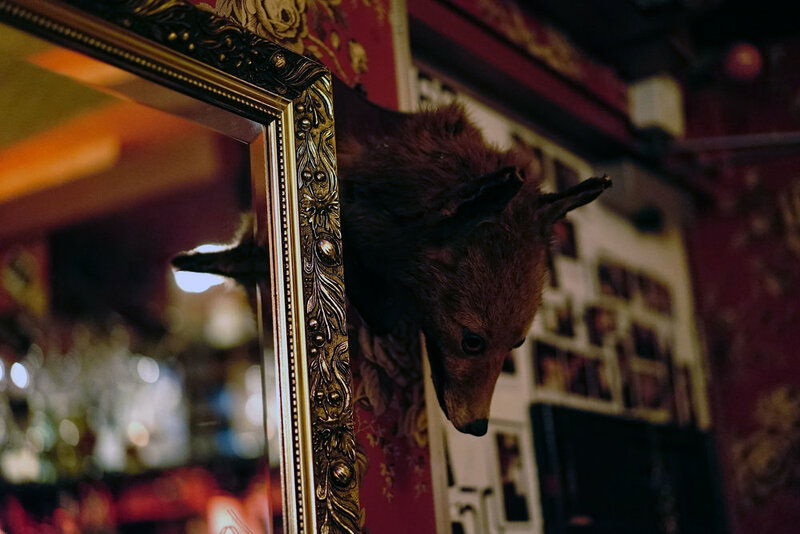 Beerwulf.com is an online retailer that specialise in craft beer. They have also been working on a really special project with Kompaan brewery in the Netherlands to create a limited edition beer called ‘The Mentor’ to celebrate Father’s Day which is only available from Beerwulf.com. There's no better way to celebrate father’s day than sharing a beer and talking about how crap modern music is. Straight out of the traps I'm going for one from the Beer Monkey stables, UNCLE MONKS. You're going to get a direct hoppy hit, followed by a slightly sweet & growing bitter balanced flavour. When tasting say: Those Americans know how to style an I.P.A right? The Bedlam Porter from the Bedlam brewery. Yes because the word Porter is synonymous with Menswear. But I'm also into pale ales and the boys at Bedlam have a strong team ethic brewing the finest beer they can. This limited edition is blended with fresh Fuggles and Goldings hops. It arrives Pale, Crystal, composed with Brown and Chocolate malts. When tasting say: Anyone else getting some coffee flavours? I'll admit I've gone purely on the name on this one. Of course from the film Cocktail where Doug asks his young apprentice, know how to make a red eye young Flannigan. This beaut from the Hooky Beer Keg Range is a Pale Ale Malt underpinning a symphony of fruitiness from Willamette, Sovereign, Citra, Amarillo and Chinook Hops. When tasting say: Jim Carrey and Charlie Sheen were considered for the role of Brian Flanagan in the movie Cocktail, which in the end was cast with Tom Cruise. XT Brewing have released Squid Ink; bold beast of a beer with its blend of Columbus, Summit, Galaxy and Chinook hops. Yes, it's dark, (not my normal go-to) but you need to prove you have range on your palette. When tasting say: It's thought that squid ink could be the cure to heart disease in humans. But what if I don't drink Carl? For my non-drinking friends there is also something here for you too. Be sure to check out Braxzz Brewery. A is a recent newcomer into the alcohol-free & low-alcohol category, their 'The Porter' edition is dark coloured and aromatic with notes of strong espresso, chocolate with hints of date and figs. When tasting say: Does anyone else have weird drunken dreams. You hear the word RUM and what springs to mind? For me Rum is synonymous with capricious summer days spent on the common, where all the best laid plans go to waste simply because the sun decided to shine. Nowadays I've tempered the urge to down tools and lose a day simply because it's got above 25 degrees for the first time in 6 months. However, the appreciation for a decent rum cocktail has not diminished. As many of you know I've been working alongside Don Papa this last month, exploring their distilleries and sugar mills in Mount Kanlaon, where sugarcane thrives on its lush, fertile foothills. It's reacquainted my love affair for rum and given me license to exercise my creative mixology skills and here are my top 3 Don Papa Rum Cocktails. This cocktail paints a vivid portrait of Sugarlandia. Charged with agave syrup and lime, it’s straight from a place that believes in revolutionary ideals. Take a sip and enjoy the smooth flavour of a nation’s pride. In a shaker pour in the Don Papa Rum and add in agave syrup instead of sugar. Squeeze in the juice of half a lime and add the egg white. Shake vigorously so that you create a light foam. Now add some ice and shake again. Serve in a whiskey glass filled with ice. Garnish with a lime peel and finish with 3 drops of bitters on the foam. This Don Papa twist on the classic cocktail will inspire and liberate your senses through its balanced taste of bitter and sweet, much like the life of the legend himself. In a mixing glass filled with ice, add the bitter Apérol, white vermouth and Don Papa Rum. Stir gently. Garnish with a sprig of rosemary and a grapefruit wedge. We celebrate the Don’s burning passion for independence. Experience the resilient spirit of Don Papa with this refreshing cocktail. Taste the wild lime juice which twists the palette, causing an explosion of sweet yet sour flavour. In a highball glass filled with ice, squeeze the juice of half a lime. Charge with Don Papa Rum and top with a spicy ginger beer. Stir with a cocktail spoon and add a mint leaf sprig to garnish. The original Don Papa Rum. Light and fruity on the nose, smooth and delicate on the mouth, with a long textured finish. Don Papa has a light amber colour and offers flavours of vanilla, honey and candied fruits. The first Limited Edition from Don Papa. Deep, rich and powerful on the nose, with a delightful tingle on the mouth. Don Papa 10-year- old has a dark amber colour andoffers flavours of dried fruits, cacao and just a hint of oak. This new limited edition small batch rum has been aged in specifically selected and over toasted casks. 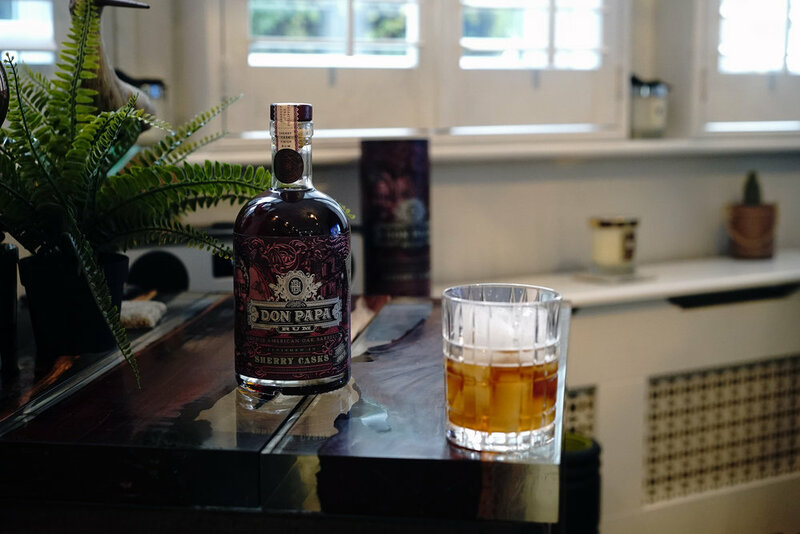 Rich and fruity on the nose, with a hint of spice on the mouth, Don Papa Rare Cask has a dark amber colour and offers flavours of rich fruitcake, cacao and oak, as well as hints of wild mint on its beautifully long finish. To enhance its distinctive taste, the cellar master decided to keep the rum unfiltered and unblended, bottling at high strength (50.5% ABV). This rare and unique rum is presented in numbered bottles and in a beautiful wooden presenter box. Only 6,000 bottles were produced. The Philippines is a fascinating country of contrasts; of tranquil countryside and noisy urban sprawl; of vertiginous mountains and golden beaches; grinding poverty and ostentatious wealth. Many of the rural farmers carry on as though the last couple of hundred years never happened, while just up the road are humming mega-cities that appear transported from the future. It’s not a place for doing things by half. I was lucky enough to spend the very best part of a week here recently at a few contrasting hotels. The first was a high rise in the relatively sleepy Bacolod City. The other, an oasis of calm in the chaos of Manilla, all thanks to Don Papa rum who invited a selection of the UK's top press and bloggers to experience this beautiful country where they make their famous rum. Don Papa Rum is a genuine Philippine premium rum, inspired by the island’s legendary revolutionary leader, Papa Isio and the dream-like landscape, Don Papa was launched in 2012 and now present in over 20 countries including France, Germany, Spain, UK, United States of America, South Africa, Belgium, Italy, and Japan. The Seda Capitol Central hotel is smack bang in the middle of the ‘City of Smiles’ – Bacolod which is the capital of Negros island aka Sugerlandia, where Don Papa grows, harvests and processes the raw material sugar cane which produces the molasses for their rum. Efficiently, a short drive away is the Bago Distillery where the molasses is fermented, distilled, aged and turned into the finished product ready to be shipped and bottled. The Philippines is the 3rd largest rum market worldwide with annual volumes of c. 15 Million cases, although most of this is for domestic consumption. The first of these smiles was waiting for us at the airport, where our super friendly driver, Bayani, greeted us. It’s often said of a country that its greatest natural resource is its people. This isn’t always true, but it definitely is with the Philippines. The genuine friendliness and willingness to go out of their way to help were a constant throughout our stay. Once at the hotel we were ready for a siesta, so after a long trip it was a relief to find that it errs on the side of luxurious. The entire hotel is very tastefully furnished – light and airy, rather than cosy, which of course is the last thing you need here! There’s good wifi throughout, much-needed air conditioning and an excellent, also much-needed, pool. The bed was one of those King-size+ jobs; you almost needed Satnav to find your way out. The brand new building overlooks the Provincial Capitol Lagoon, the Negros museum and the capitol building itself. Of course, being so central, it’s walking distance to everything, including Pala Pala seafood market, barely five minutes away and another five to the spectacular San Sebastian Church. As usual, when this close to the equator I divided my time between sightseeing outside and ducking into shops or popping back to the hotel for a little air-conditioned relief. It was great having such a central base that allowed us to do this. 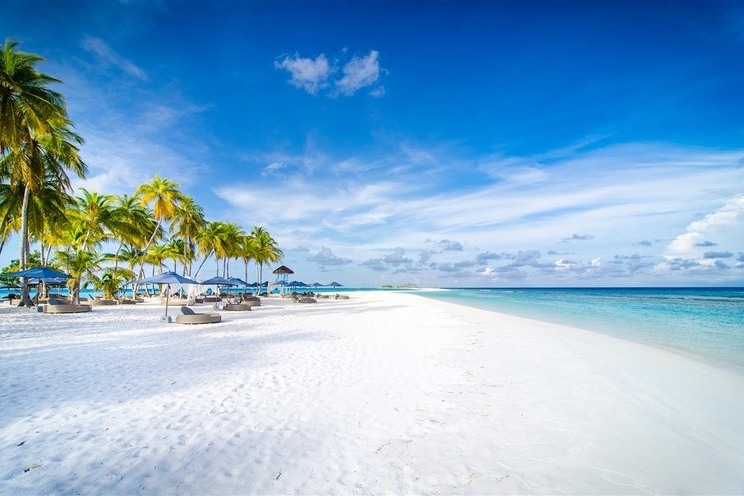 Before heading to the airport we had to fully immerse ourselves in the Filippino lifestyle, which for us Brits is a visit to a secluded island staying in traditional beach huts and we found this paradise in Lakawon. Finally we left time to visit the beautiful Ledesma ruins in neighbouring Talisay City. This was a little different to the English ruins I’ve become accustomed to. While those date back to medieval or even Roman times, Ledesma was built only last century. Despite the condensed history it’s well worth a visit, especially if you can arrange one around sunset. It made for a beautiful, romantic end to our visit to the city of smiles. Flights from the UK: I flew with Philippine Airlines where you can experience service from the heart onboard the Philippines' only 4-star airline. Flying non-stop daily between London Heathrow and Manila, Philippine Airlines has full-flat beds in Business, with Economy Class also equipped with personal TVs, USB ports and onboard wi-fi. Enjoy in-flight dining with a vibrant mix of Asian, Spanish and American cuisine offering a mosaic of flavours that are all passionately prepared. salamat sa pagkakaroon mo sa amin (thank you for having us). For those of you looking for a healthier alternative option this Pancake Day, look no further, this recipe is not only a healthier option but it also tastes great too. I've been cooking these pancakes for years now, as a breakfast meal after the gym or some HIIT training and have adapted the toppings to suit my cravings today on Pancake Day. Although it doesn't have to only be eaten on this one day, its great as an after exercise meal, snack or dessert. It leaves you feeling full and fulfilled. Put the eggs, almond milk, half of the banana, Greek yogurt, protein powder and rolled oats all in a blender and blend. I've used a Nutribullet for this as I find it mixes quick and you'll get a nice smooth creamy texture. The texture should be thick as these are American style pancakes and not thin such as French crêpe style ones. Heat some coconut oil in a frying pan on a medium/low heat them pour in the mixture into circles. You know that one side is cooked because you'll see a few bubbles appearing on top of the uncooked side, once you see this, turn them over and cook the other side. Once fully cooked, layer the pancakes on top of each other with sliced banana in-between a few layers (with the half you have left over), then add some maple syrup if required. Top off with Oppo Columbian Chocolate & Hazelnut ice cream, a handful of hazelnuts and any banana you may have left over. If you find that it is too dry, then add extra ice cream or a spoonful of Greek yogurt. Try Oppo Ice Cream Today. They make a Great Taste Award winning ice cream with less than half the calories and sugar of regular ice cream. I love cocktails but there's one thing I love more, and that's cocktails at Christmas or cocktails with a Christmas twist like a Spiced Haig Club Espresso Martini or Gingerbread White Russian. Christmas Eve has traditionally been my favourite nights of the year to go out, much better than New Years Eve in my eyes. It's a day where everyone that moved away from where they grew up, go back to visit their families, so the evening is full of old school friends and old girlfriends, which can get quite awkward if you had as many as I did! But this year, I'm doing something different and not frequenting this annual tradition of mine but instead just staying in with my mum, dad, brother, sister and her family. I'm actually really looking forward to it and now I have found this fun Christmas Cocktail Generator I think we'll be taking it in turns to create our favourite cocktails. The Christmas Cocktail Generator will take into consideration your personality by putting your answers to their questions into an algorithm which will then calculate the perfect cocktail for you from around 60 recipes. When I first took the test, I got my favourite cocktail the 'Espresso Martini' although being Christmas I created my own favourite take on the classic. For example, I replace the vodka with Haig Club Clubman Whiskey because it gives an incredible vanilla taste which combined with the coffee gives a smoother consistency to your cocktail. Once shaken and poured, I then sprinkle a mixture of ground brown sugar, chocolate and cinnamon to the top. Then of course the traditional 3 coffee beans to decorate as well as a stick of cinnamon. Each mouthful will combine the flavours of the vanilla in the whiskey, coffee, cinnamon and chocolate, for a perfect combination. If you love the Espresso Martini, you'll also love a White Russian due to using similar ingredients and it's another one of my favourites. It's said to look like a cup full of snow-capped deliciousness, so make the flavour match it's festive appearance with a touch of gingerbread, for a drink that looks, tastes and smells oh so Christmassy. In a ice-filled class, pour in your vodka and Kahlua. In a jar, mix the milk, sugar and ginger and pour over the back of a spoon onto your booze for a pretty layered effect. With the countdown to Christmas now on, there are plenty of festive tipples in the shops to get us into the holiday spirit. 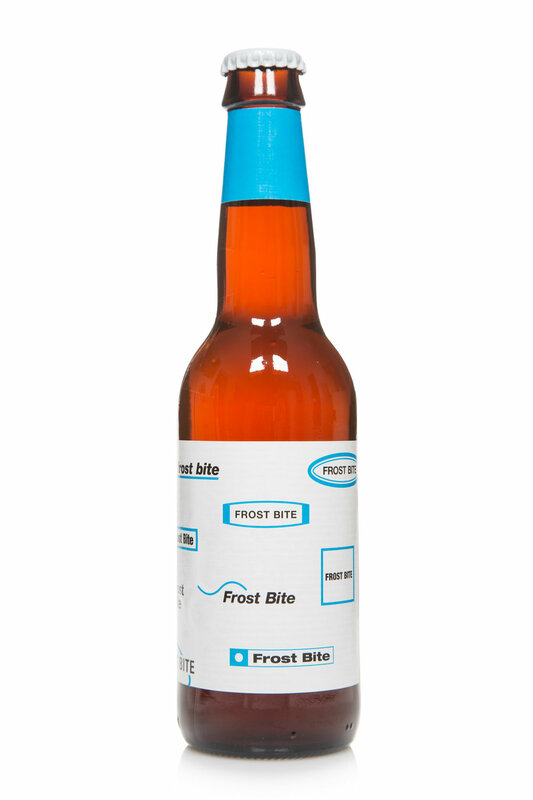 Warming mulled wine and fruity sloe gin may be most peoples first choice, whereas Christmas beers are usually pushed to the bottom of the festive booze cupboard. 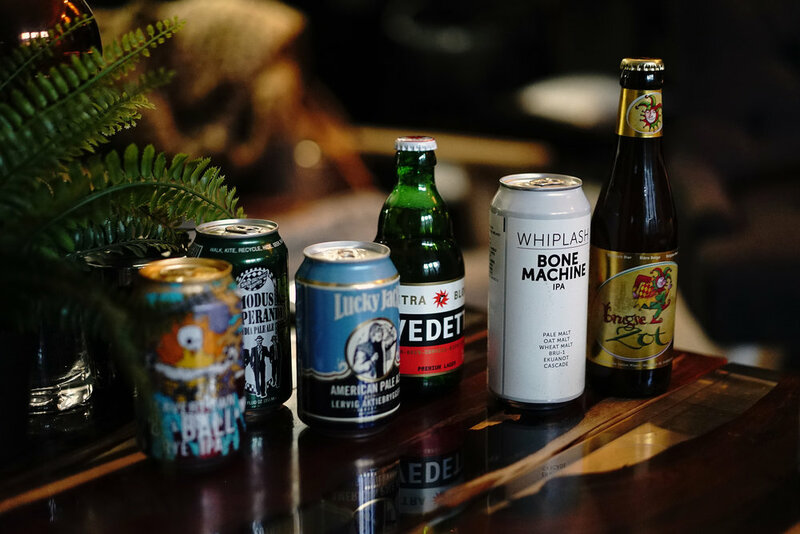 Belgian breweries however have been producing popular winter ales for centuries, and over the past few years craft breweries and supermarkets have also upped their game for Christmas! Full of warming ingredients, here are 10 amazing festive beers to enjoy around the fire this month. There are just some words that sound better together. London and Speakeasy, for example. Afternoon and Tea - idly saddle next to each other don't they. Whilst Bottomless and Cocktails are the kind of words you'd pay good money to see skittle around inside a Hadron Collider. Now imagine getting to experience all of those wonderful conjugations under one roof, in one afternoon. 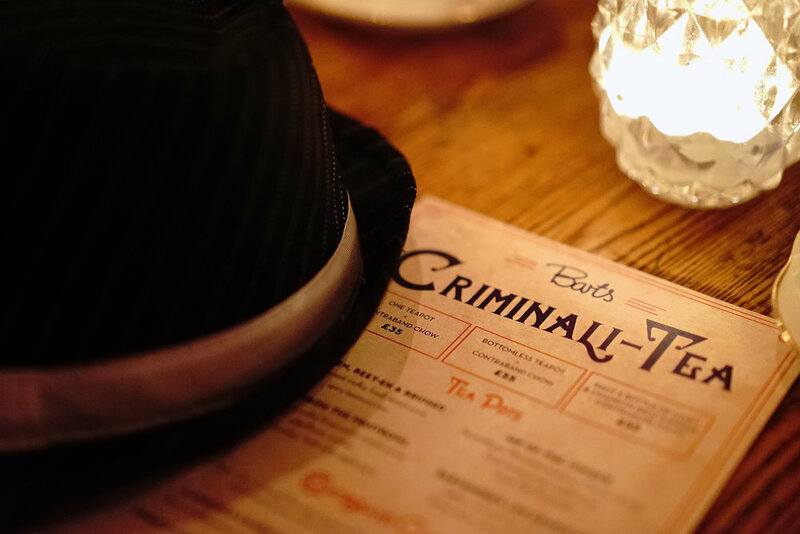 Recently, thanks to Virgin Experience Days, I had the good fortune to visit Uncle Barts’ 1920s Speakeasy just along Sloane Avenue where my date and I were transported back to a decadent era where men were men and dames were dames. 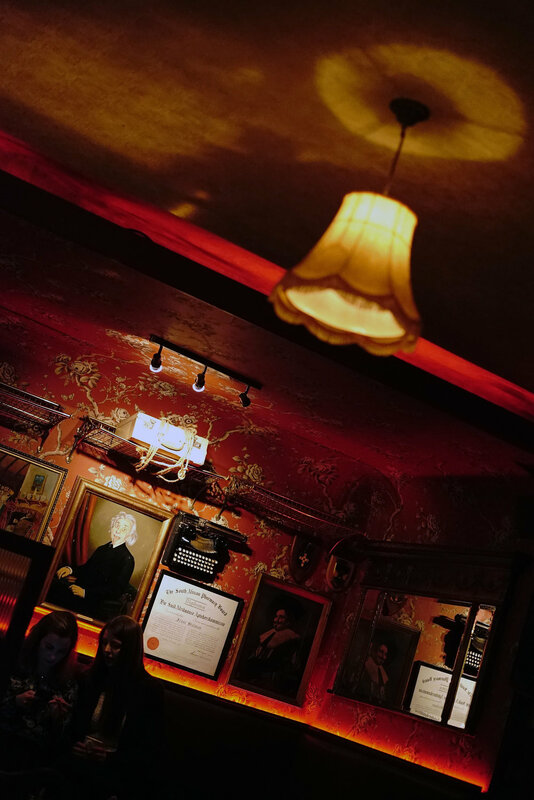 On the door we slipped Big Frank a password that was initially refused (all part of the fun and games) before being whisked inside to experience what’s being hailed as 'truly London’s worst kept secret'. If you're a fan of books like F. Scott Fitzgerald's The Great Gatsby, which was published during the midst of the tumultuous 20s, or maybe you've seen Baz Luhrmann’s rendition of the novel, then this place will offer you that same portal of nostalgic escapism. Personally I'm more of a The Untouchables guy. Morricone's scintillating and heartbreaking score. Costner and Garcia at their nuanced best, De Niro at his most destructive and of course Connery, in his post-Bond pomp! "You wanna know how to get Capone? They pull a knife, you pull a gun. He sends one of yours to the hospital, you send one of his to the morgue. THAT'S the Sccchhicago way! And that's how you get Capone". I digress. When I heard about Uncle Barts being the Doyen of bootleg cocktails, that was the clincher. (I recommend The Alchemist from the menu). Throughout the afternoon we were suitably captivated by the gangster's moll from The Hotsie Totsies, as she tantalised us with an array of modern jazz inspired renditions. This was an exquisite way to pass a couple of hours on a chilly Saturday afternoon. A great unexpected treat for the other half as an early Christmas present. As well as the bottomless cocktails you’ll also be served up a selection of sandwiches and cakes.